I'm sure many of you know about these fabulous little herby chicken sausages by now. 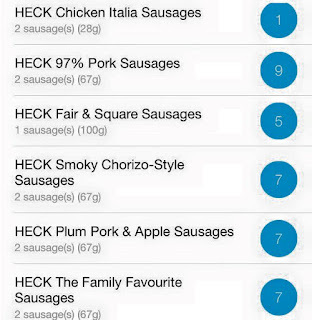 They're an amazing find at 1sp/72kcal for TWO sausages! They are tasty, not too small, gluten free and low fat so are a fabulous addition to a cooked breakfast or brunch dish. The reason I've included them in my Cupboard Love section is because I have a yummy recipe coming up which features them as its main ingredient so wanted to make sure you were stocked up! They're available in most major supermarkets. I bought mine in Tesco. 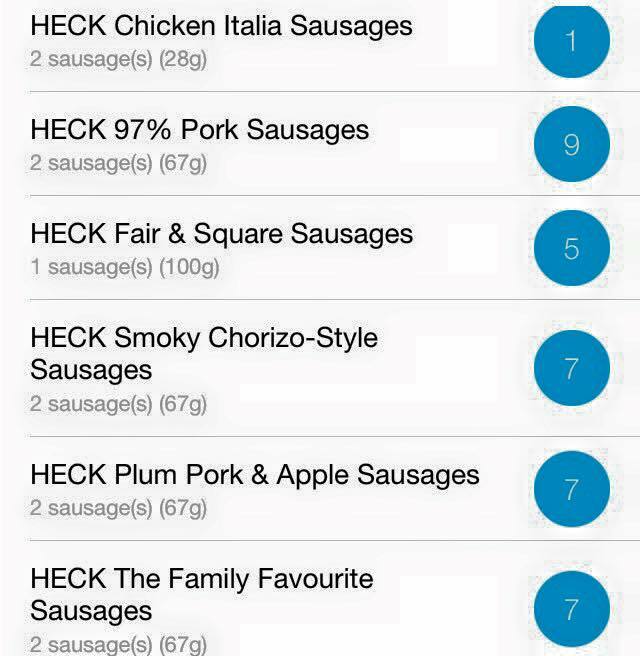 Warning!-check the packaging carefully when you buy as the pork ones are packaged similarly and are MUCH higher in Smartpoints/calories! I love them as you know and it is good to have the SP details.